Find free classifieds for Motorcycles for sale, used motorcycles for sale for sale or to buy in Tamil Nadu. FREEADS in India offers you a platform to post free advertisements or classifieds for Motorcycles for sale, used motorcycles for sale, Tamil Nadu. FREEADS in India helps you search, find, buy, sell, rent or hire in various categories like apartments, goods for sale, local services, cars , jobs and many more in Tamil Nadu. Shown below are ads available in Motorcycles for sale, used motorcycles for sale, Tamil Nadu. You can use search box above to refine your search. Kanniyakumari District - Nagercoil - New Bajaj Platina- red color, bought in July 2017, 1500kms driven, owner going abroad. Bank loan paid 5 instalments. Can continue the instalment in HDFC bank. Only serious buyers can contact..
SFA Motorcycle Rental only place in chennai to hire Royal Enfield and Harley Davidson. Royal Enfield Classic 350cc / 500cc for hire in Chennai. Royal Enfield Thunderbird 350cc / 500cc for rental in Chennai. Royal Enfield Standard Bullet 350cc / 500cc for hire in Chennai. Royal Enfield Bullet Electra 5s for rental in Chennai. I'm Austin Philip UK Diplomat.i received urgent call that i have transfer back to my country. I have brand new Yamaha yzf r1 2013 model i want to sell it before i go back to my country. Price 3, 50.000rs.If your interested contact me ...My contact No.+919654096704. 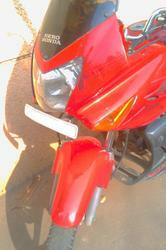 TVS Apache 150 cc for sale...Single owner, Red color and well maintained bike.. I search royal enfield diesel bullet 2 wheeler. My option to purchase below 40, 000K. If anybody having old diesel bullet any model can have contact me over phone. Thanking you, Yours sincerely, Duraiswamikaruppannan. Jz 10500 km passing full red , good condition never used in reserve mode juz 42000.00 only i got tis bike in jan-2013 ..
i have xl super now my byk is sale , who want this byk contact me this is a new byk i was burchesed last six month..contact :9677775304.
bike in very good condition. single owner . insurance in current. 30000km done..
Bike is sale with excellent condition, Model: Bajaj XCD, Year: 2006, Registration: UP, Having NOC for Tamilnadu, Mileage: 65+ km/leter, K.M's Used: 16000, Reason for Sell: Relocating to Hometown (Hyderabad), Contact: Nagaraju, 8903492402, . July '11 model single owner 12000 kms done white colour full company service Rs. 75000 only. Interested person can contact 9841787776- Kasim. Yamaha RX 135, Black, Good working Condition, Full Comprehensive Insurance paid. good milage, all fittings working properly. 1998 model. Offered Price 26000. Contact Deepak at 98842 cell 71242. Bajaj Discover, 2006 model, allow wheel, self starter. price 16000, intrested contact 8122148518. As am going onsite, selling 11 month showroom condition new cbz double disk..
Unicorn in excellent condition for sale.well maintained , single owner 2009 model geninue ppl Pls contact to this no 9790838303, 9940203032. It was an 2002 model rx 135, recently engine serviced. It has an alloy wheel. Along with this it contains a pollution control silencer, a rx100 silencer, a expansion chamber silencer, a full throttle cable is also available.it is a chennai registered vehicle..
pulsar 200 cc blackPULSAR 200 CC BLACK..insurance till 2012 november..
PULSAR 200 CC BLACK..insurance till 2012 november.. new battery with 3 years warranty, , , bike model sep 2008.. contact 8883444404. Karnataka Registration Avenger bike 2005 model, colour silver, good working condition is for sale. Now the bike is in Chennai. Price negotiatble..
We rent all kind of motorcycles and Scooters in Chennai. We have Yamaha FZ, Yamaha Fazer, Yamaha R15, TVS Apache RTR 180 / 160, Bajaj Pulsar 220 / 200 / 180 / 150, Bajaj Discover 135 / 125, Hero Honda Splendor Plus / Pro, Hero Honda Passion Plus / Pro, Royal Enfield Thunderbird, Classic 500 / 350, Machismo, Bullet, Tvs Scooty Pep plus, Honda Activa, Honda Dio, Kinetic Honda, Honda Unicorn and each and everykind of two wheeler you may imagine. This is a 1968 royal enfield with original g2 engine in excellent condition. Color: Magic Black, Plating: Erode, Seat: Split seat, Air Filter: K&N, Documents: One year tax pending, insurance live, green tax live KM driven: 500 km after engine work in perfect condition not even spend one rupee here after, price slightly negotiable. Hi, We are selling our karizma bike 2005 model, good condition just visit it and buy the vehicle …further details contact : friendstrendz media PH:9884008831, 8015986813, 8883518727. Brand Name : Royal Enfield Bullet CC : 350cc Model Year : 2000 Colour : Black Ownership : 2nd Owner Offer Price : Rs. 52000/- Good Condition, 2000 year Model Enfield Bullet for Sale in Chennai. I own a Royal Enfield Bullet, newly registered in 2011. Perfect condition, Excellent to ride. 350 CC petrol bullet, military colour, 850 kms done gives good mileage. Please check the pics for better view and if interested, you can contact me in my mobile number..
Hercules CMX Thunderbolt Speed Selector Adjust pedalling speed as per your comfort Accelerator For effortless riding, when you don't want to pedal Ignition switch Option of riding in auto or manual mode 26 " Urban Profile Tyres For comfortable ride and smooth power delivery. alloy wheels disk brake self start front new tyre. India ads for Motorcycles for sale, used motorcycles for sale, Tamil Nadu, Motorcycles for sale, used motorcycles for sale free ads Tamil Nadu, Motorcycles for sale, used motorcycles for sale for sale Tamil Nadu, Motorcycles for sale, used motorcycles for sale to buy in Tamil Nadu. This page is a classified ads listing for Motorcycles for sale, used motorcycles for sale Tamil Nadu. This listing includes classifieds for sale and to buy in Tamil Nadu. If you posted an advertisement on Motorcycles for sale, used motorcycles for sale, Tamil Nadu before please use Edit my ads button to change or cancel your ad. Motorcycles for sale, used motorcycles for sale Tamil Nadu ads Tamil Nadu, Motorcycles for sale, used motorcycles for sale classifieds Tamil Nadu, Motorcycles for sale, used motorcycles for sale free ads Tamil Nadu, ads for sale Tamil Nadu, ads to buy Tamil Nadu, FREEADS in India. Find here ads for sale, to buy and rent in Tamil Nadu. Goods for sale in Tamil Nadu, vehicles for sale in Tamil Nadu, Tamil Nadu real estate for sale, Tamil Nadu property for sale, property for rent in Tamil Nadu, business ads in Tamil Nadu, Tamil Nadu business classifieds, services in Tamil Nadu, Tamil Nadu services ads, jobs in Tamil Nadu, pets for sale in Tamil Nadu, Tamil Nadu dating, Tamil Nadu cars for sale.